Autumn, 1071. The struggle for England has been long and brutal. 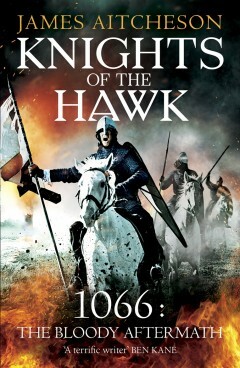 Five years after the fateful Battle of Hastings, only a desperate band of rebels in the Fens stands between King William and absolute conquest. Tancred, a proud and ambitious knight, is among the Normans marching to destroy them. Once lauded for his exploits, his fame is now dwindling. He yearns for the chance to restore his reputation through spilling enemy blood. But as the Normans’ attempts to assault the rebels’ island stronghold are thwarted, the King grows ever more frustrated. With the campaign stalling and morale in camp failing, he looks to Tancred to deliver the victory that will crush the rebellions once and for all.